In the spirit of Karl Benz’s world-changing innovation, Motorwagen has rolled into town with a menu to wow. Nestled in the city’s Mercedes Benz dealership, most things about Motorwagen, from the stunning minimal fit-out to the jaw-dropping culinary offering, are totally unexpected. 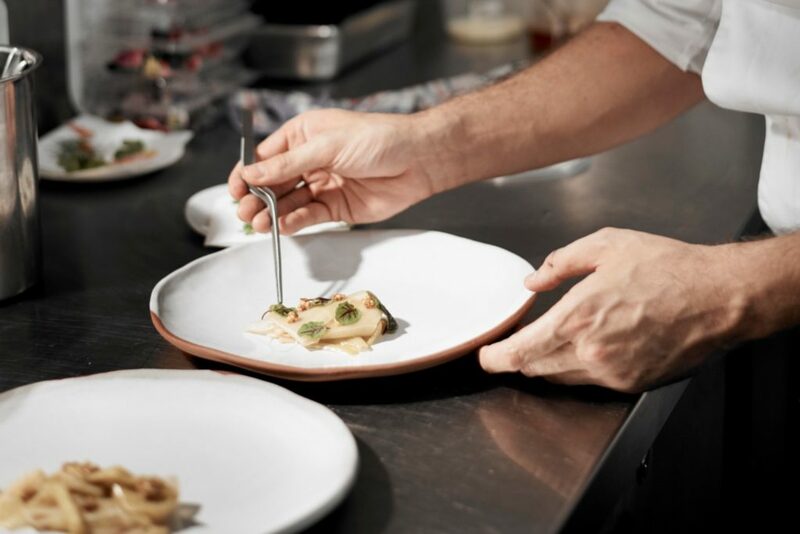 Motorwagen’s Head Chef, Dario Manca, brings a wealth of experience to the venue that is joyfully expressed in the menu; his experiences working with the likes of Heinz Beck and Gordon Ramsay are on every plate. While the menu is packed with tempting, intricate options to explore, we had Chef Dario explain his favourites, and what it takes to make Motorwagen’s menu so delicious. 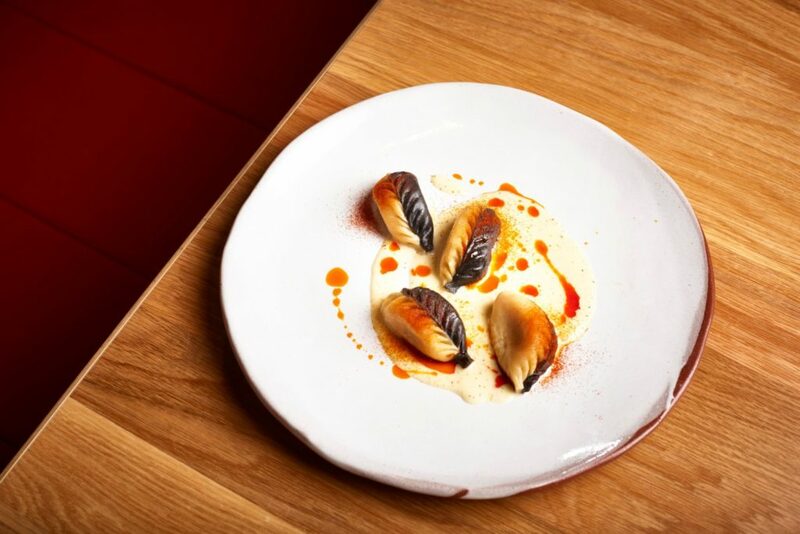 For entrée, Dario recommends the culurgiones – hand-made Sardinian ravioli filled with potato, cheese and paprika, served with a cacio e pepe sauce and spicy nduja oil. Dario’s pride in this pasta dish is no surprise – he recently represented Australia in the Barilla Pasta World Championship! As for Motorwagen’s culurgiones, “each ravioli is hand-made with at least 15 – 18 pinches,” Dario explains. For mains, Dario suggests the slow-cooked lamb breast, served with a scapece of zucchini, mint, garlic and vinegar, potato purée and pickled zucchini. Motoring on to dessert, Dario is eager to explain the braised red capsicum with white chocolate, apple cider vinegar tuille, and lemon thyme – you read right. Dario says his love of experimentation inspired the dish: “It is a challenge and keeps me alive creating desserts that are playing with the traditional concept of what a dessert is. 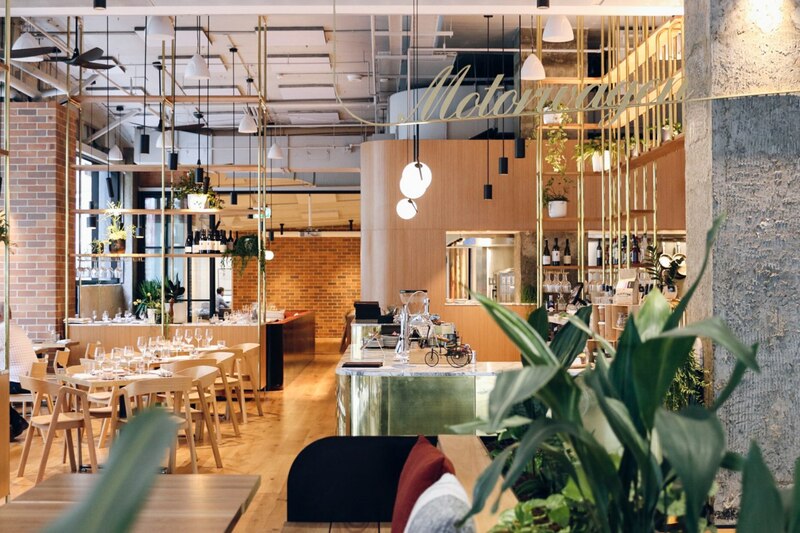 Motorwagen’s menu can be experienced across lunch, dinner, and five- and seven-course degustations – ensure you’ve fastened your seatbelt before experiencing the big flavours on offer from Chef Dario.